You have not just turned a corner in your life — you have turned many. Your ruling planet Saturn has been through a series of oppositions to Uranus and squares to Pluto. This has been a two-year project, and the peaks of energy and the most difficult transitions are behind you. 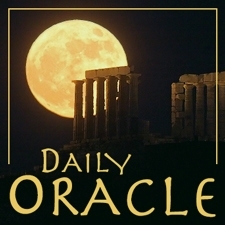 Today’s Oracle takes us to the Capricorn monthly for September 2010. You have not just turned a corner in your life — you have turned many. Your ruling planet Saturn has been through a series of oppositions to Uranus and squares to Pluto. This has been a two-year project, and the peaks of energy and the most difficult transitions are behind you. Yet I want to caution that you may be carrying trauma in your energy field from so many changes — indeed, what may feel like too many changes. This can affect your sense of wellbeing, of what it’s possible for you to achieve, of your freedom of movement, and whether you’re trusted by the people whose lives you influence. I suggest you suspend your doubts, and work on your own mind and feelings. All of these changes, and all the work you’ve done, both on yourself and in the world, is going to pay off. The signs are likely already there. There have been times when you’ve felt not just safe but invincible, as if you were protected by a force beyond your own understanding. Who knows, that may be true, but your best moments have come at times when by being uncompromisingly yourself, you notice the world moves over and makes room for who you are. As I have said many times, you are on a mission at this time in your life, one that blends the deepest levels of personal growth and the highest calling to leadership. On with the show.